This guide will assess the impact of mergers and acquisitions (M&A) on pro forma financial statements. There are several important accounting considerations to be aware of when preparing M&A pro forma financial statements. Financial statements will vary significantly post-merger. New assetsTypes of AssetsCommon types of assets include: current, non-current, physical, intangible, operating and non-operating. Correctly identifying and classifying the types of assets is critical to the survival of a company, specifically its solvency and risk. An asset is a resource controlled by a company which future economic benefit and liabilitiesTypes of LiabilitiesThere are three types of liabilities: current, non-current, and contingent liabilities. Liabilities are legal obligations or debt owed to another person or company. In other words, liabilities are future sacrifices of economic benefits that an entity is required to make to other entities as a result of past events or will be recognized on the combined balance sheetBalance SheetThe balance sheet is one of the three fundamental financial statements. These statements are key to both financial modeling and accounting. The balance sheet displays the company’s total assets, and how these assets are financed, through either debt or equity. Assets = Liabilities + Equity while existing assets and liabilities may be measured according to different conventions. Further, balance sheet items that were recognized prior to the acquisition may be derecognized in the post-acquisition accounts. Acquirers must identify all the assets they are acquiring, both tangibleTangible AssetsTangible assets are assets with a physical form and that hold value. Examples include property, plant, and equipment. Tangible assets are seen or felt and can be destroyed by fire, natural disaster, or an accident. Intangible assets, on the other hand, lack a physical form and consist of things such as intellectual propertyr and intangible assetsIntangible AssetsAccording to the IFRS, intangible assets are identifiable, non-monetary assets without physical substance. Like all assets, intangible assets are those that are expected to generate economic returns for the company in the future. As a long-term asset, this expectation extends for more than one year. As goodwill is the residual of these identifiable net assets, the goodwill amount is often lower than previously thought. Instead of including an amortization charge to goodwill, the value of a goodwill asset is instead impaired, decreasing in value. Without this amortization charge, EBIT will increase while EBITDAEBITDAEBITDA or Earnings Before Interest, Tax, Depreciation, Amortization is a company's profits before any of these net deductions are made. 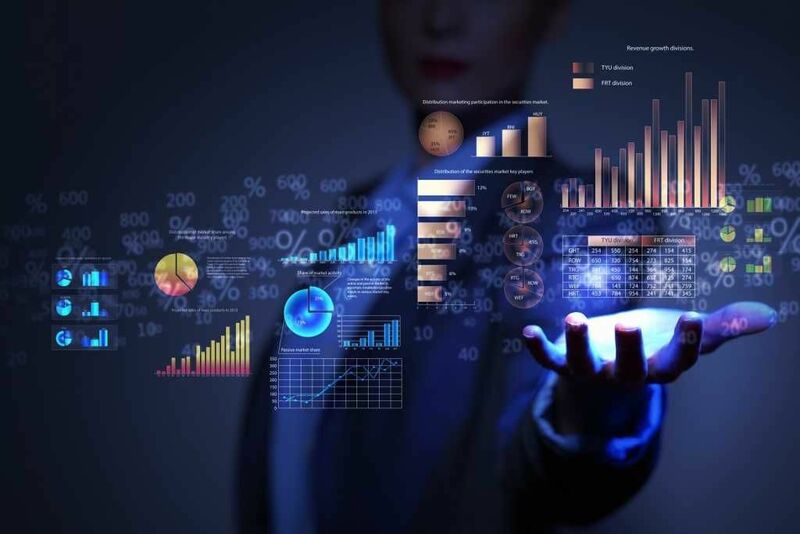 EBITDA focuses on the operating decisions of a business because it looks at the business’ profitability from core operations before the impact of capital structure. Formula, examples will not change. With impairment replacing goodwill amortizationGoodwill Impairment AccountingA Goodwill Impairment occurs when the value of goodwill on a company's balance sheet exceeds the tested accounting value by the auditors resulting in a write-down or impairment charge. Per accounting standards, goodwill should be carried as an asset and evaluated yearly. Companies should assess if an impairment is, this exhibit shows a gradual increase in earnings. However, impairments of goodwill can still arise, producing unpredictable dilutive earnings. Generally, goodwill is not considered tax deductible in most countries. The exception to this basic rule relates to goodwill arising on the acquisition of an entity’s net assets rather than its equity. Restructuring provisions are excluded from goodwill calculations and must be charged directly to net income post-acquisition unless the target entity was committed to restructuring before the acquisition. This will make it harder to demonstrate post-acquisition earnings accretion. 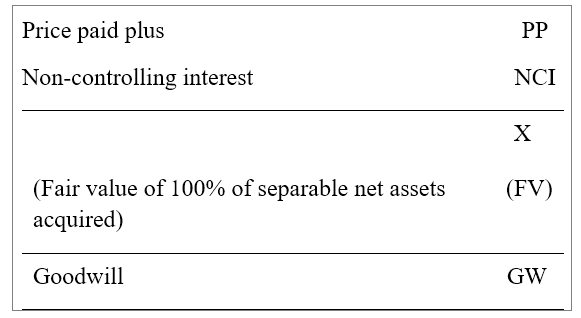 Note that the net debt calculation contained within an annual report includes borrowings, cash, and liquid resources for the parent and its subsidiaries. Further, standard net debt calculations do not include the debt exposure included in joint ventures and associates. With the introduction of the goodwill impairment model, there may be significant write-offs of goodwill required in respect to past deals. Consideration must be given as to how this information is communicated to the market. *Note that the full investment banking manual contains a comprehensive example of acquisition accounting on pages 134-136. In 2008, a revised set of rules for accounting for business combinations was published. The new rules must be applied for accounting periods beginning on or after July 1, 2009. For companies with December year ends, the first accounting period when the new rules will apply will be the year ending December 31, 2010. They may also be implemented sooner. The proceeding article highlights the most important rule changes. The calculation for goodwill remains the same as with previous rules; the only difference is that goodwill is grossed up on both sides by non-controlling interest. Under IFRS, the real change comes in the way non-controlling interest is measured. The new rules allow non-controlling interest to be measured as either the noncontrolling share of identifiable net assets (traditional approach) or at its full acquisition date fair value. Under US GAAP, the non-controlling interest must be measured at its full acquisition date fair value and not simply the noncontrolling share of the fair value of the separable net assets. Many M&A transactionsMergers Acquisitions M&A ProcessThis guide takes you through all the steps in the M&A process. Learn how mergers and acquisitions and deals are completed. In this guide, we'll outline the acquisition process from start to finish, the various types of acquirers (strategic vs. financial buys), the importance of synergies, and transaction costs include a contingent consideration (future adjustment to the price, dependent on the performance of the acquiree) where after the acquisition there may be payments, either in cash or shares, between buyer and seller to affect any “earn out.” Existing accounting rules require annual adjustments for changes in expectations of payments, with a corresponding adjustment to goodwill. The new rules require that the adjustment be to the group income statement rather than goodwill. The most important implication of this rules change is that the post-acquisition group income statement may be more volatile than before, as the changes to the estimates of the contingent consideration move profits rather than goodwill. Merger models will need to be adapted to be able to handle sensitivity analysis around the value of the contingent consideration. Previous accounting rules require that any costs directly associated with the acquisition (due diligenceDue DiligenceDue diligence is a process of verification, investigation, or audit of a potential deal or investment opportunity to confirm all facts, financial information, and to verify anything else that was brought up during an M&A deal or investment process. Due diligence is completed before a deal closes, price negotiations, etc.) are treated as part of the cost of the acquisition, capitalized on the balance sheet as an increase in goodwill. Under the new rules, these costs are expensed through the income statement in the same period the services are received, typically around the transaction date.